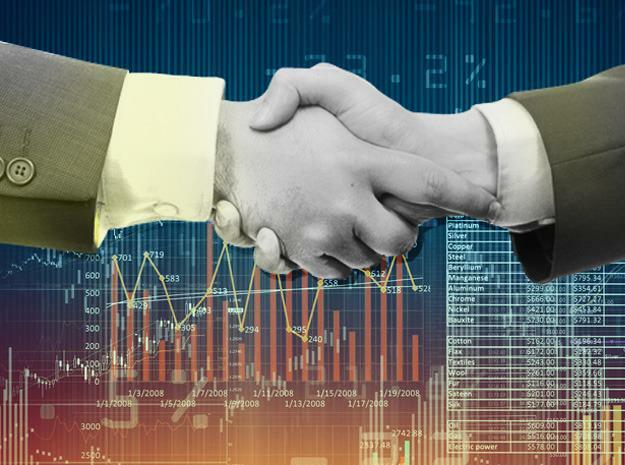 In an effort to complete with Oracle, SAP, and Salesforce, Adobe has entered into an agreement to acquire Magento Commerce, thereby adding digital commerce capabilities to the Adobe Experience Cloud. Adobe will acquire Magento Commerce for US$1.68 billion, thereafter offering a complete system from designing digital ads, through to building e-commerce websites, marketing, UX, analytics, and completing online transactions to its customers. The addition of the Magento Commerce Cloud will enable commerce to be integrated into the Adobe Experience Cloud, delivering a single platform to serve both B2B and B2C customers globally. Magento also brings Adobe Experience Cloud digital commerce enablement and order orchestration for both physical and digital goods across a range of industries, including consumer packaged goods, retail, wholesale, manufacturing and the public sector. What will this mean for Adobe and Magento? In a recent blog, Forrester commented the Magento will bring a “nimbleness” to Adobe that the latter desperately needs. “Adobe created and then saturated the enterprise market for digital marketing capabilities, whereas Magento thrived in the SMB and mid-market and now is steadily marching into the enterprise realm,” the analyst firm said. “Adobe’s track record with developers has been touch and go for years as it embraced and later neglected developer tools. Whereas Magento’s open source roots and community developers bring nimbleness and a vitality that Adobe desperately needs. “Magento has not only shown demonstrable growth, but it also boasts a vibrant community of developers and customers, and it’s one of the most bullish on innovative areas like support for progressive web applications [PWAs]." Forrester also pointed to the release of Magento 2.2 late last year, and said Adobe is positioned well to benefit from its newfound credibility in the B2B world as a result, a segment Adobe has been lacking strong presence in. "Magento is more than just commerce; over the past three years, it established a broader portfolio of products and delivery and technology partners, including: business intelligence (BI), a lightweight content management system (CMS), order management system (OMS), shipping, and social, in addition to its ISV and services ecosystem," Forrester stated. Raab Associates principal, David Raab saw this acquisition skirting the pricing problems stemming from trying to make enterprise software affordable to smaller firms without cutting prices to large enterprises. “Selling enterprise software packages to mid-market firms doesn’t work very well, but embedding enterprise-class micro-services would let Adobe add advanced features without asking mid-market IT managers or business users to do more than they can handle,” he said. Adobe executive vice-president and general manager, Digital Experience, Brad Rencher, said consumers and businesses now expect every interaction to be shoppable – whether on the web, mobile, social, in-product or in-store. Wall Street also seemed to rate the acquisition a good one. Adobe's shares rose 1 per cent to US$240.50 following the announcement, with the platform having just received approval to administer an US$8 billion buyback program that will run through 2021. “Magento is a leading provider of functionalities that, combined with Adobe’s comprehensive analytics capabilities, will allow the partners to effectively compete on Salesforce’s grounds, giving Adobe a revenue opportunity of nearly $13 billion in the same space as the CRM giant,” MageMail CEO, Erik Bullen, commented. “The movement in the SaaS space for e-commerce solutions presents a growing opportunity for key enterprise players to serve each aspect of the B2B and B2C markets available. Ultimately, the acquisition demonstrates both Adobe’s and Magento’s understanding of their core customer. However, as Raab also explained, making every experience ‘shoppable’ is not necessarily a good thing. “We’re now seeing a world where you can make a purchase by clicking on an image in an online video, by scanning a barcode on a poster, by viewing an augmented reality app, or just by talking to refrigerator. Adobe is particularly well positioned to take advantage because they have such a strong position in the content creation world via its Creative Cloud," he said. "Magento makes it easier for them to reach smaller businesses, which is a huge market for this expanded scope of ‘shopability’. I’m not sure I like the idea of a world where everything literally has a price tag on it, but if we’re going to get there, it’s good business for Adobe to lead the way." The Magento Platform is built on scalable technology supported by more than 300,000 developers. The Magento partner ecosystem provides thousands of pre-built extensions, including payment, shipping, tax and logistics. Current Magento customers include brands like Canon, Helly Hansen, Paul Smith and Rosetta Stone. Adobe and Magento share joint customers including Coca-Cola, Warner Music Group, Nestlé and Cathay Pacific. Upon close, Magento CEO, Mark Lavelle, will continue to lead the Magento team as part of Adobe’s Digital Experience business, reporting to Rencher. The transaction, which is expected to close during the third quarter of Adobe’s 2018 fiscal year, is subject to regulatory approval and customary closing conditions. Until the transaction closes, each company will continue to operate independently.